Just have a look at this Lone Star Western Decor exclusive! These turquoise polyresin switch plate covers with an embossed floral pattern and crossed arrows perfectly accent your ranch home. For more pieces, we ask you to take the time to look through our complete variety of switch plate covers at Lone Star Western Decor today. This turquoise polyresin switch cover with an embossed floral pattern and crossed arrows perfectly accents your ranch home. These switch plate covers measure 3 1/2"W x 5 1/2"H. For further offerings, we invite you to take the occasion to review our extensive array of switch plate covers at Lone Star Western Decor today. These turquoise polyresin switch plate covers with an embossed floral pattern and crossed arrows perfectly accent your ranch home. 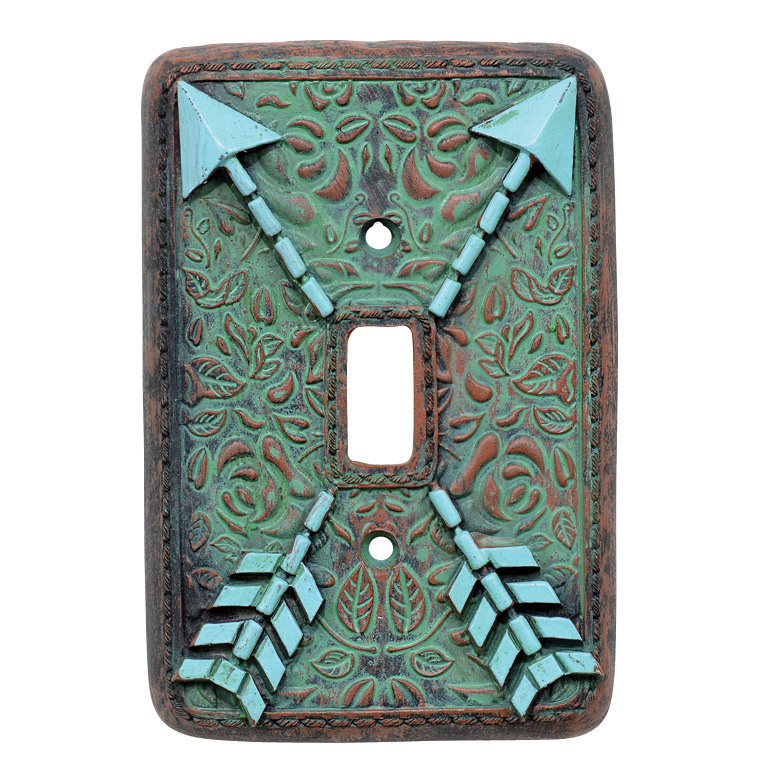 For more offerings, we encourage you to take the occasion to browse our entire inventory of switch plate covers at Lone Star Western Decor today. These turquoise polyresin switch plate covers with an embossed floral pattern and crossed arrows perfectly accent your ranch home. For further items, we invite you to take the time to browse our extensive range of switch plate covers at Lone Star Western Decor today.